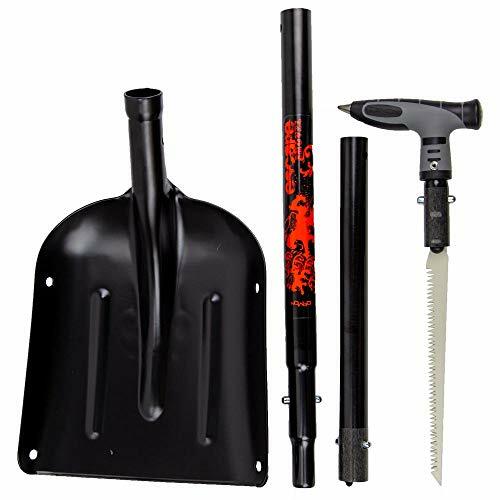 If your cutting a cornice or a fallen tree, the Demon Escape Shovel Ally has got your back and will get the job done. 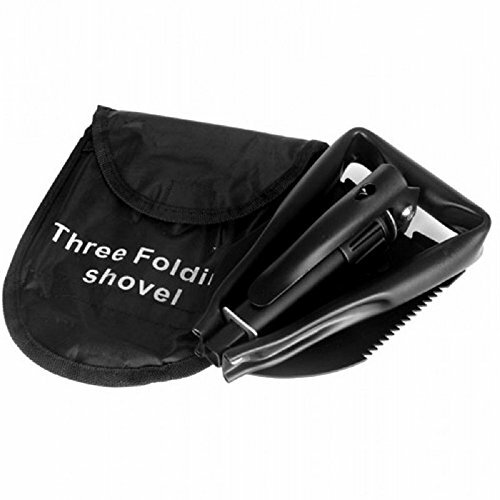 Features a forged aluminum shaft and blade and is lightweight. Forged aluminum shaft and blade. Telescoping shaft to adjust height. L shape snow pick and compass embedded in the ergonomic handle. Wood saw fits conveniently into shaft. Fully collapsible. The SPECS Handle and Shaft Length: 16" / 40.5 cm Assembled Length: 22.5" / 57 cm Blade Dimensions: 9 x 10" / 23 x 25.5 cm Weight: 18.5 ounces / 525 grams ALL CLIMBING SALES ARE FINAL. The D-2 EXT Dozer is ultimate tool for "strategic shoveling" and digging out stuck snowmobiles. The Dozer easily converts to a traditional shovel making it adaptable to any backcountry situation. And the folding saw makes an effective tool for cutting away debris. 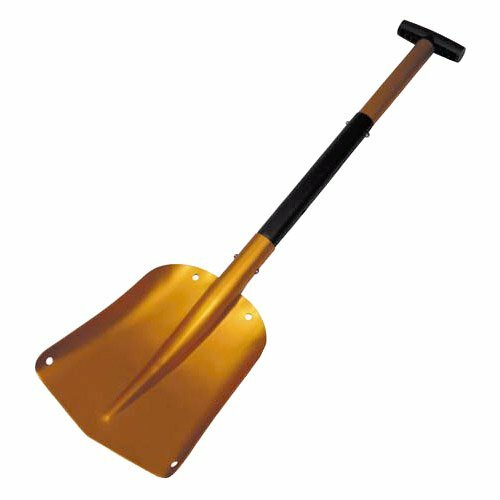 The Yukon Sport utility shovel is a great accessory for motorists and outdoor enthusiasts who pride themselves on being prepared for any situation. Our lightweight, adjustable design makes it easy fro carry on a w inter hike or store in the back of a car. Featuring 6000 aluminum construction and a slip-proof ABS handle, you won't want to get stuck in the snow without one. Length is 14" when stored and adjusts between 26"-33" in use. 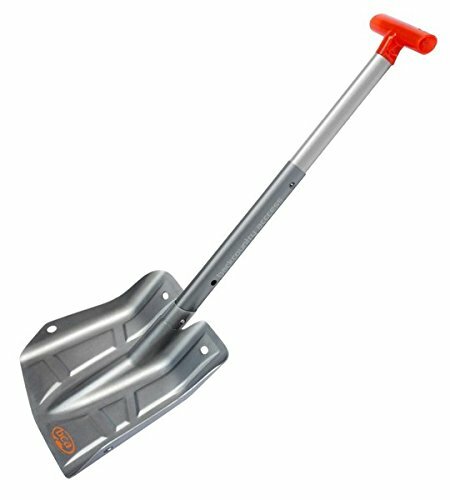 The Yukon collapsible shovel is an ideal accessory for motorists and outdoor enthusiasts who pride themselves on being prepared for any situation. Our lightweight, adjustable design makes it easy fro carry on a w inter hike or store in the back of a car. Featuring 6000 aluminum construction and a slip-proof ABS handle, you won't want to get stuck in the snow without one. Weighs just under a pound, and the length is 13" when stored and adjusts between 24"-30" in use. For Snow Removal, Decks, Construction, + More, the Stealth Pro S the serrated-edged version of DMOS's professional terrain plow tool. Weighing only 4.1 lbs, the Stealth Pro S extends to 57" and packs down to 26" x 9" x 2.25". Limited lifetime warranty, DMOS tools are always at hand, never in the way. STRONG - Made from lightweight and durable T6-6061 aircraft aluminum with a powder coated finish, this tool won't rust or break. DMOS's Stealth Pro is the ultimate shovel for auto/overlanding, adventure, action sports, ski lift operations or military work. COMPACT- Sized just right to fit in any trunk. Take along, rack or stow anywhere. Packs down to 26 x 9 x 2.25 (66 x 23 x 6 cm) and weighs 4.1 lb (1.86 kg) You'll be ready no matter what wildlife or nature throws your way. VERSATILE - Foldable and full-sized all in one. Handle extends to 57. The DMOS Stealth Pro is built to handle snow, ice, dirt or sand quickly and efficiently. 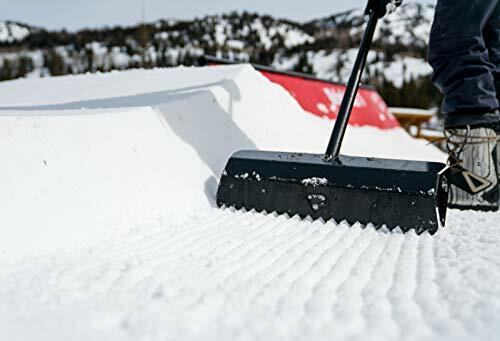 Perfect for your Car, Truck, Professional snow work & Terrain Parks. HIGH PERFORMANCE- Twice as thick as an avalanche shovel with optimized blade and teeth to break up rough terrain and ice. Ergonomic, full-sized shaft won't hurt your back. Choose from smooth or serrated blades. 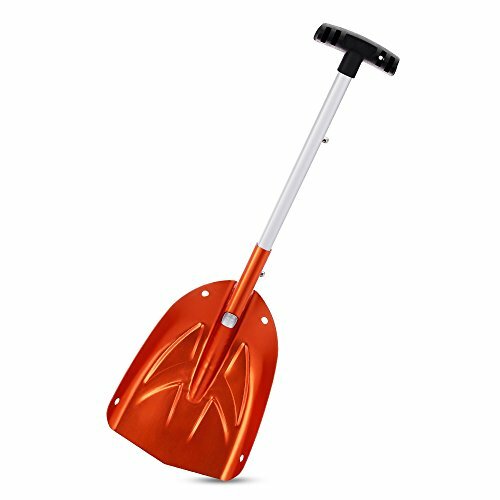 Strong and lightweight orange snow shovel. Absolutely essential during snowy winter time. 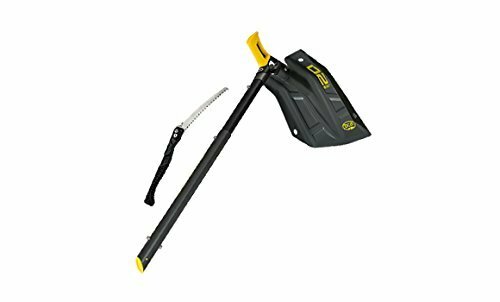 Multipurpose: off road, hiking, camping, gardening, snow cleaning and more outdoor adventures. The length of extension rod is changeable by two snap joints as you like. Material: comfortable soft plastic handle, aluminum durable body, ergonomic design. 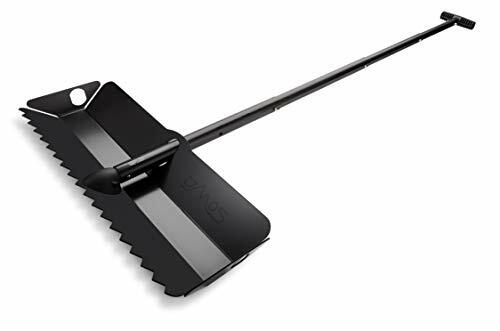 The shovel also easily disassembles into two pieces for easy storage and portability, the perfect size to store in your car, or even put it in your backpack. The bright color is stylish and easy to see. 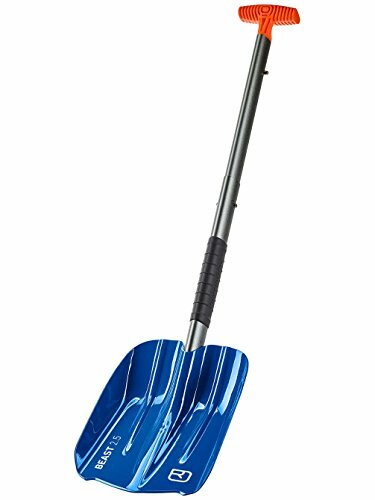 For Moving, Shaping, Grooming, Snow and Ice control, + More, the Stealth Pro Shovel is DMOS's extra-wide, professional snow and terrain shovel/rake tool. 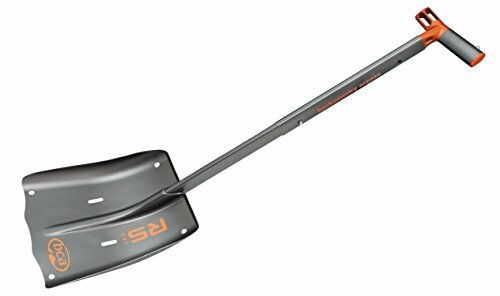 Weighing only 4.1 lbs., the Stealth Pro shovel extends to 57" and packs down to 26" x 9" x 2.25." Limited lifetime warranty, DMOS tools are always at hand, never in the way. VERSATILE - Foldable and full-sized all in one. Handle extends to 57. The DMOS Stealth Pro is built to handle snow, ice, dirt or sand quickly and efficiently. Perfect for your Car, Truck, Terrain Parks and Building Kickers/Jumps.